Andrea Sreshta is co-founder of LuminAID, a company dedicated to innovative renewable energy solutions for humanitarian aid, outdoor recreation, and use in the home and garden. LuminAID's lights have been sold to individuals in more than 30 different countries around the world, and outreach projects with NGO partners have put more than 20,000 donated lights on-the-ground in more than 15 countries including Haiti, India, Laos and the Philippines. 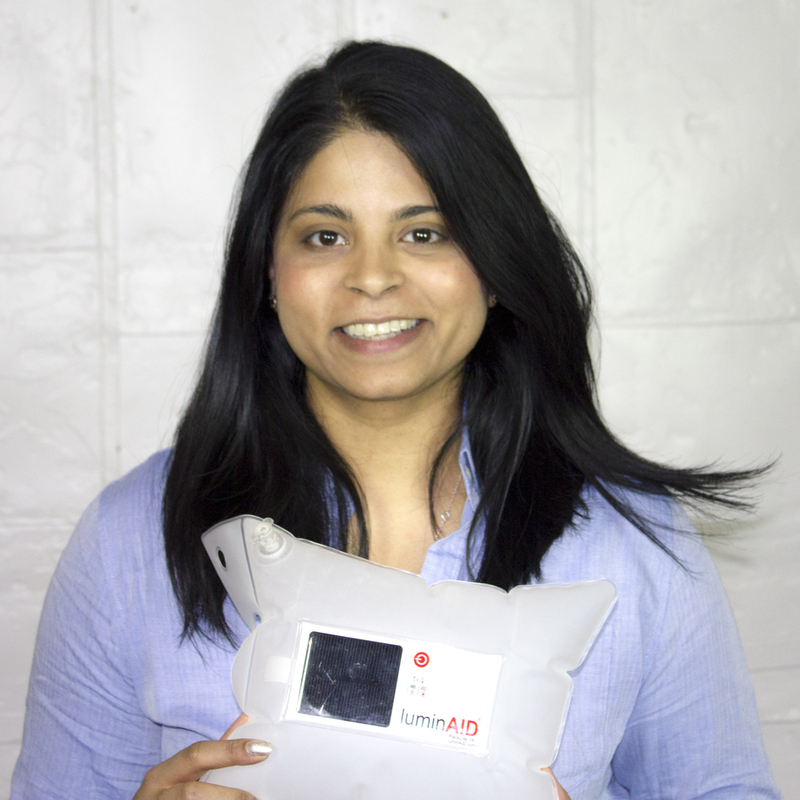 LuminAID was featured on ABC's Shark Tank in 2015 and received offers from all 5 of the Sharks and made a deal with the billionaire investor Mark Cuban. Sreshta previously worked in and studied design and architecture. She earned a bachelor's degree from Yale University and a Master's in Architecture from Columbia University. She is currently completing her MBA at the University of Chicago's Booth School of Business. Andrea is interested and qualified to speak about small business interests, women in small business, social entrepreneurship, and promoting STEM-related activities for children and adults alike. LuminAID makes and markets portable solar lighting for humanitarian relief aid, outdoor recreation, and home and garden.